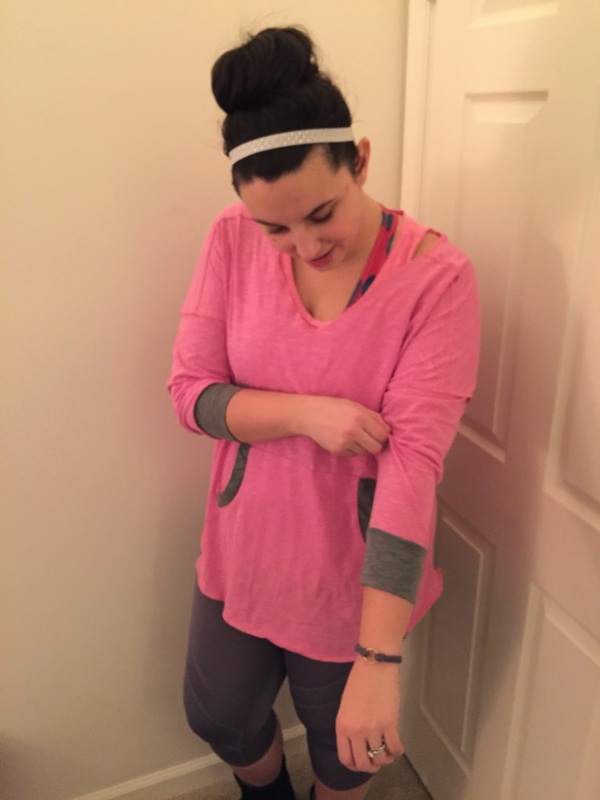 Just Keep Sweating: Augusta Sportswear Review + Giveaway! 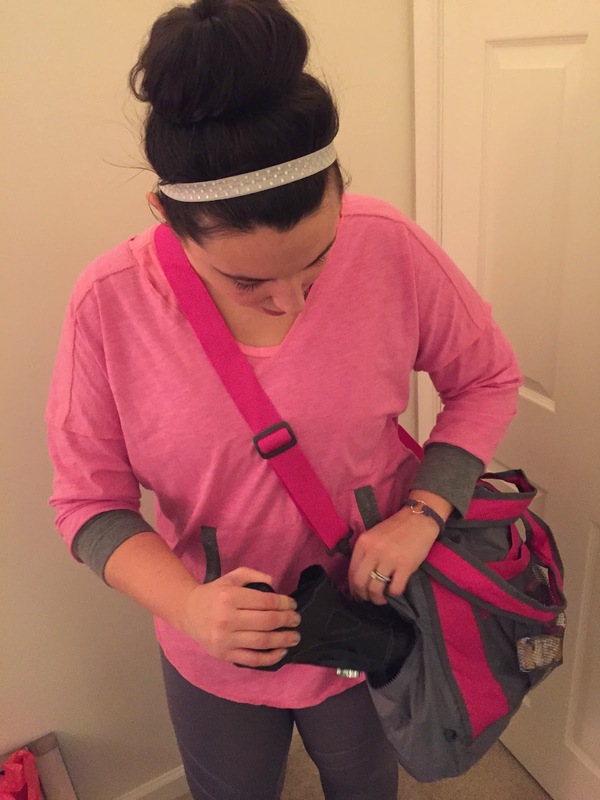 Augusta Sportswear Review + Giveaway! 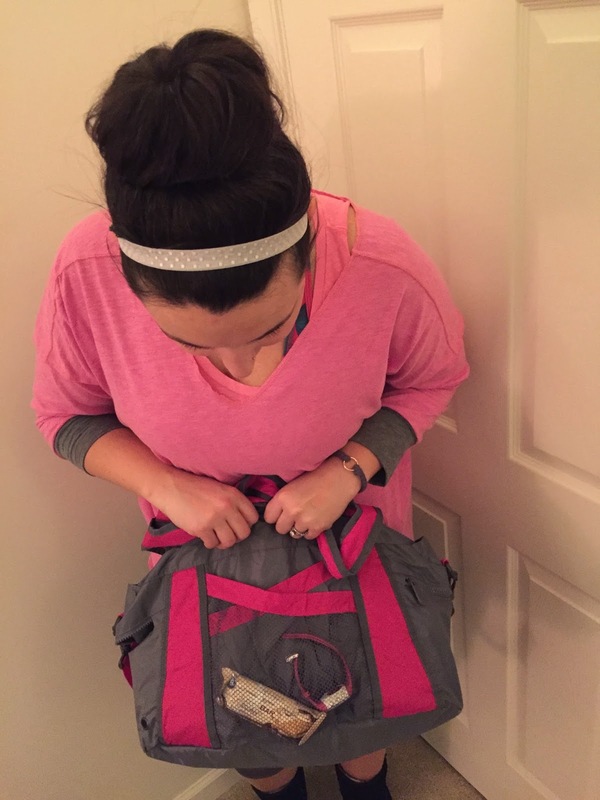 What better way to celebrate "hump day" than with a giveaway. Now that I work from home I have found myself living in my workout clothes. They're comfortable, but functional and I love mixing and matching all of my old and new gear together to revamp my outfits. Some people may not care about how their gym outfit looks/matches but I am a firm believer that if you look good, you feel good and it will enhance your workout. Last week I received this outfit from my friends at Augusta Sportswear and was literally tickled pink at the sight of it. 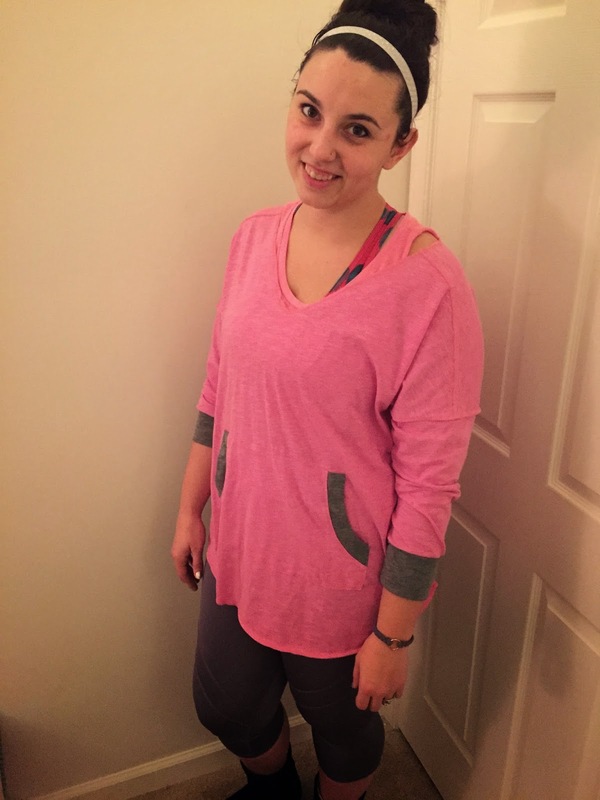 The top was perfect for layering over my tank tops and is light enough that it can be warn almost all year round and the capris were perfect. I prefer my gym pants to come up a little higher (and these do) because I suffer from "pants falling down" syndrome when I am bouncing around in my Tabata and Boxing classes, thankfully that wasn't an issue with these! They also sent me a gym bag which I have been using everyday for the last week. I love the color combination and all of the hidden pockets, both inside and out. My favorite feature of this bag is the zippered shoe pocket. On Tuesdays I take boxing and spin back to back so having this feature has made bringing my gloves, jump rope, wraps and spin gear so much easier! However, Augusta doesn't only cater to us ladies, they have lots of cool fitness apparel for men too! 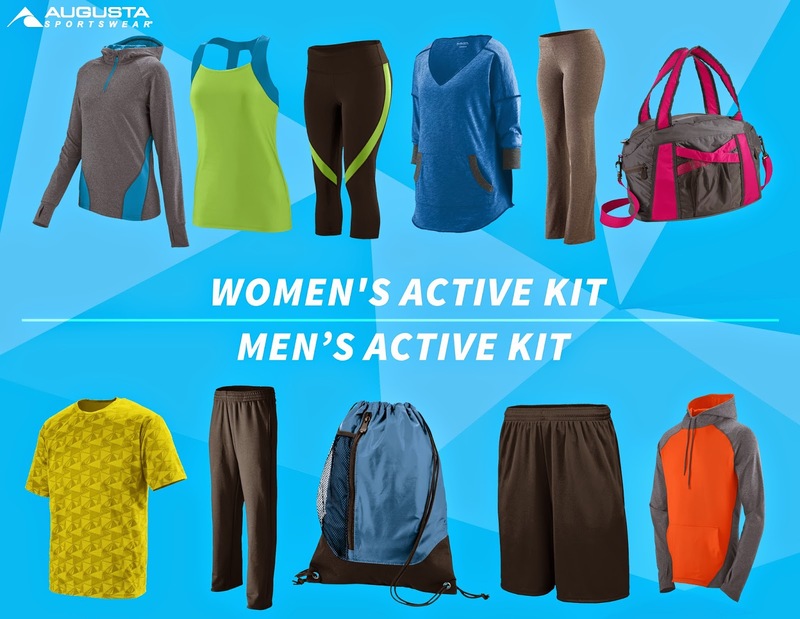 Augusta Sportswear wants to share the love, so one lucky guy and gal will win a large active kit to keep you looking cool during your workout or to and from the gym. The giveaway is for US residents only and will end on January 25th. Love that shirt! I'm avoiding my gym right now (while I'm so happy for the resolutioners, I just hate waiting for machines), so I've picked back up on doing Jillian Michaels' DVDs and Tone It Up workouts! my goal is crossfit 4 days a week! challenging with a new baby but i'm doing my best! I am trying to get my BQ marathon time, lose BF, and get stronger! Im getting active by lifting weights and playing volleyball. I've been doing the #100JanuaryMiles with Greater Fitness and I signed up for the Run This Year Challenge as well (but I'm aiming for 1,000 miles rather than 2015)! PS: I LOVE that outfit and bag - PINK!! Their stuff is so cute!! I love that top! I am getting fit in 2015 by training for my first half marathon and loving my new Planet Fitness membership! I rejoined my original gym and I'm aiming for four classes per week! super cute outfit and bag!! I'm starting my fitness journey full force in 2015 - trying hard to improve my health. I started taking HIIT classes as well as body pump and group active. They are a lot of fun so it helps me stay motivated and keep going. I'm continuing with my crossfit classes in 2015 and I plan on finally doing the entire couch to 5k program. Thank you for hosting this! My boyfriend and I are starting the P90X routine on Xbox Fitness next week! Walk the dogs at least 3 times weekly. What a great top and gym bag. I love it! I am currently running at the gym to stay in form for the Spring, Summer and Fall races. Hope to do a 4 Mile race and a 10k by the end of this year. I'm training for a half marathon in March but I'm also looking to start spinning again!